Don’t get me wrong—most of the time I go through life with a “You’re not my mom, so stop trying to boss me around” attitude. I’m a grown man, and I don’t want anyone bossing me around. But it turns out that life is super complicated. Who knew that raising kids could be so confusing? Every day I find myself playing judge and jury for three little girls. I settle disputes about television (“I think you’ve watched enough Daniel Tiger! ), disputes about toys (“How could both of you have had it first?”) and more serious disputes (“I think you’re lying to me”). And it’s not just kids that are complicated. I’m trying to keep my body from totally disintegrating, maintain some semblance of a budget, develop relationships with folks in my church, figure out how to school my kids and create a career track for myself. Life is so complicated. Because life is complicated, there are times when I want someone to spell things out for me. Just tell me what to do. Tell me how God wants me to teach my children. Tell me how I’m supposed to eat. Tell me whether or not it’s OK to watch Mad Men. Tell me if I’m supposed to give exactly 10 percent to my church. Just make it black and white for me. 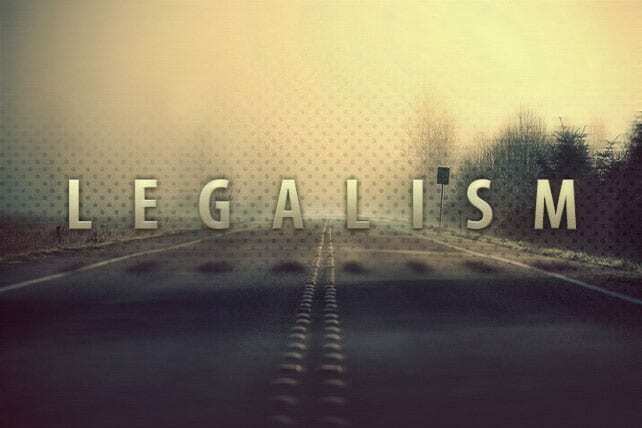 Legalism begins when we take a true principle and codify it into a mandatory (or strongly recommended) practice. Legalism happens when good things get reduced to a very particular set of rules and statutes. I’m all about spending time with God through Bible reading, prayer, church attendance, fasting and fellowship. Scripture is full of exhortations to read the Word of God (Psalm 119), pray (Ephesians 6:18) and make time for fellowship with other believers (Hebrews 10:25). To have a “Don’t tell me what to do” attitude toward Scripture is both insanity and disobedience. The problem arises when we take this good principle and start spelling out exactly how this should work. Legalism happens when a particular practice leeches onto a beautiful principle. When spending time with God is mutated into having to rise at a particular hour, no matter what your circumstances may be. Previous articleHave I Committed the Unpardonable Sin?